A recent study brings together archaeological, biological and linguistic research to posit that spoken language may be much older than previously thought. Authors Dan Dediu and Stephen C. Levinson argue that emerging research indicates ancestors of modern humans as far back as 500,000 years ago may have been capable of spoken language, in contrast to most current estimates limiting the age to between 50,000 and 100,000 years. 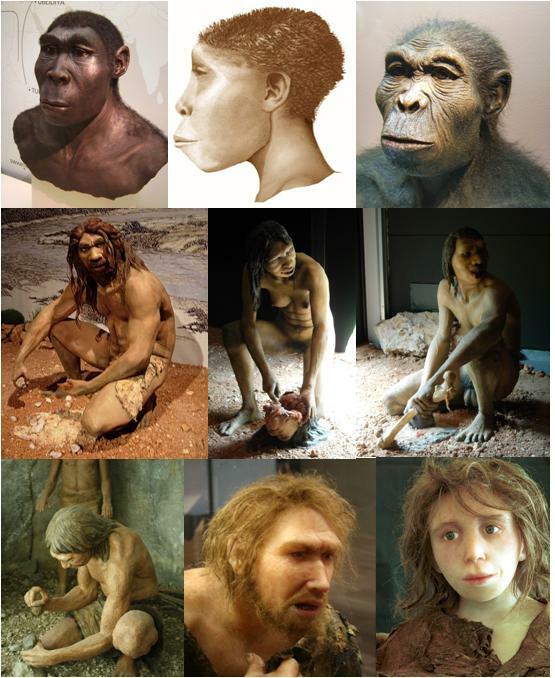 In sum, the evidence points to modern speech capacities in the common ancestor of Neandertals and modern humans. The auditory specializations for speech on the modern bandwidth are present, the morphology of the larynx looks modern, and air sacs have been replaced by a finely controlled pulmonic airstream mechanism for vocalization. In addition, the gene that is known to be involved in the fine motor control necessary for speech, FOXP2, has its modern form (although possibly not all of its modern regulatory environment). But if modern humans exiting from Africa interacted and interbred with Neandertals (and later, on their way through Asia, with Denisovans), then their contribution, we propose, might have shaped modern linguistic diversity. Not only is it interesting to imagine that we may hear echoes of Neandertal in our own speech, but as the authors explain, the increased age of and broader biological and cultural context in which language must be placed implies a wider possibility space for linguistic diversity. In other words, linguists have observed around 7,000 spoken languages on Earth and attempted to derive universal characteristics from this dataset, but are likely working with only a fraction of the possible languages and language types the hominin mind and body make possible. That fraction – given these new developments – just got significantly smaller, calling even more into question any claims of universality in language characteristics.